As socialism is rising in popularity – especially among millennials – more and more people are realizing how evil it is. And they are realizing that politically it leads to oppression. It’s the opposite of freedom, independence and self-reliance. “In other words, the socialists have done in Venezuela all of the same things that socialists, communists and totalitarians have done everywhere that they’ve had a chance to rule. The results have been catastrophic. “The twilight hour of socialism has arrived in our hemisphere and, frankly in many, many places around the world. “The days of socialism and communism are numbered not only in Venezuela, but in Nicaragua and in Cuba as well. “Socialism promises prosperity, but it delivers poverty. 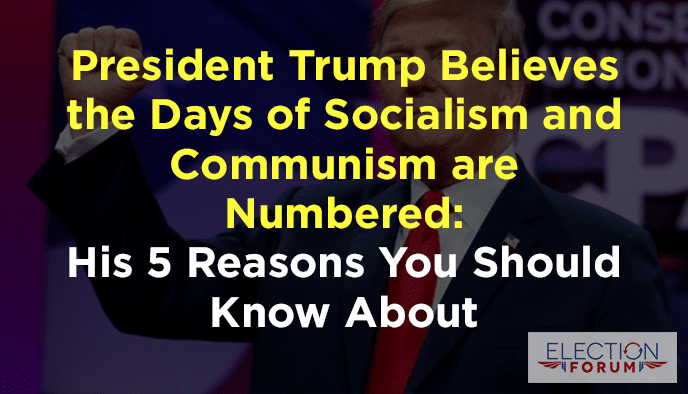 Watch this 5 ½-minute video dispelling common misunderstandings about socialism and highlighting the different outcomes of a socialist economy versus a free-market economy.